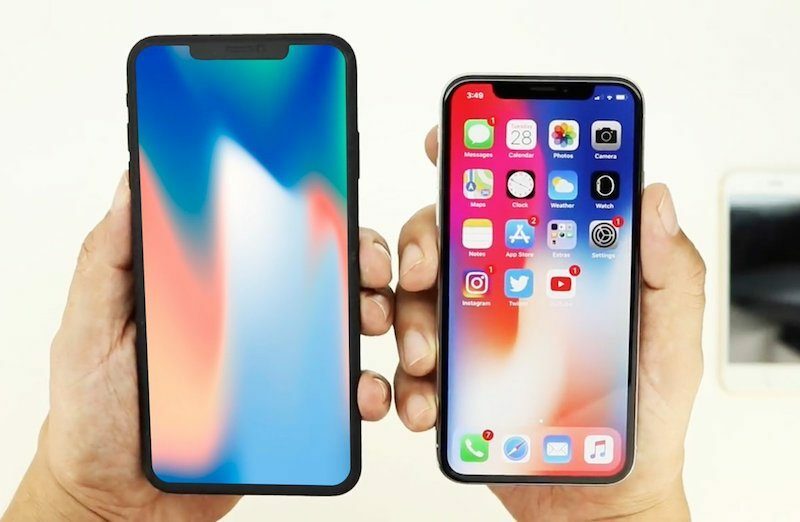 Apple's second-generation iPhone X and so-called iPhone X Plus could be priced from $899 and $999 respectively in the United States, according to RBC Capital Markets analyst Amit Daryanani. Daryanani said the current iPhone X has experienced "limited success" at $999 and up, leading him to believe that lowering the base price by $100 could reinvigorate sales of the 5.8-inch model. A widely rumored 6.5-inch model, dubbed iPhone X Plus, would then fill the $999 price point. While this is merely a prediction from one analyst, the strategy could make sense if iPhone X sales have slowed significantly, as a series of supply chain reports have suggested. We won't know for sure until Apple's next earnings report, likely to be released around late April or early May. At this point, all we know is that the iPhone X was likely a key contributor to Apple's record-breaking revenue of $88.3 billion last quarter, easily topping its previous all-time high of $78.4 billion set in the year-ago quarter. Whether that momentum carried forward to the current quarter remains to be seen. Apple will likely unveil its next iPhones in September as usual, and presumably only the company's top executives are privy to pricing plans. Apple must have realised that people are not willing to pay a four digit figure for a phone. Better later than never. Their arrogant strategy was punished by customers and the iPhone X basically flopped, which is good. I just feel sorry for all the iPhone X customers that basically paid an outrageous price just to be beta testers of an immature product. Too bad. It's still expensive. It should be $649 for iPhone X (LCD model), $799 for iPhone X (if OLED) or $749 for iPhone X(if LCD), $899 for iPhone X plus (OLED). Based on what? Musings from a Wall Street sell side analyst? Since Apple doesn’t disclose sales by model and fiscal Q2 results won’t be announced until early May nobody knows how well (or not) the X is selling besides Apple. And on the last earnings call Tim Cook said the X was Apple’s best seller every week since it had gone on sale. I think I’ll trust Tim Cook over a Wall Street analyst. What qualifies as news and rumors these days is complete garbage. Also just because some people think the X is too expensive or not a good product and want it to be a failure doesn’t mean it is. A lot of people just look to buy their flagship device each year. But if that gets priced higher and higher, people will have to choose with spending even more money for their flagship or stick with their devices and not upgrade. $999 is a mental barrier that many simply won't go past. I really don't see the point of a 5.8 AND 6.1 iPhone X even if they have different screens. Pick one Apple. You are just confusing consumers and then they don't make a decision to buy. Keep it simple if you really want to pay homage to Jobs philosophy. (And he was actually just borrowing it, but still good). Also kill the iPhone 7. No need for a 7 and an 8 in next years line up. Again, just adds confusion. As a happy iPhone X owner, I certainly don't feel like I've been a beta tester of an immature product. My experience with it has been spotless, and technologically wise, this thing was priced a bit higher than an 8 Plus, which I also considered, but not high enough to qualify as "arrogant strategy". A laptop with as high a screen resolution, 3D face recognition and battery life would have cost about the same, and in a year time, I'll offload the X for 50%+ of its value, something I would not be able to do if I had spent $1k on a laptop. Updated SE, please. Just the processor would help! I'll keep on rocking with my 8 plus until they get the notch downsized some more. My friend has a X and I'm not feeling it. I want a Plus sized X with minimum notch. Holding off until 2019. I think current X size is in a sweet spot for many people, but surprise me.